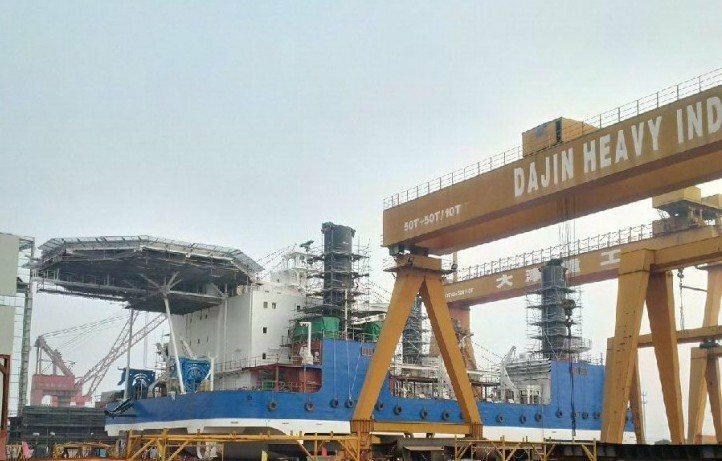 Shanghai Bestway Marine & Energy Technology has announced that its affiliate shipyard Jiangsu Dajin Heavy Industries has entered into a sale and purchase agreement with H&C Marine Engineering (Singapore) for two self-elevating liftboat newbuildings. The total value of the contract is $116m. The two liftboats were originally ordered by Chinese company Mekers Offshore, and Dajin Heavy terminated the contract at the end of November as Merkers Offshore has been unable to make payment according to the contract. Dajin Heavy has already filed an arbitration application to demand compensation from Merkers Offshore. One of the liftboats has been completed while the other one is near completion. According to Shanghai Bestway, H&C Marine Engineering was controlled by the company’s president Liu Nan until he transferred all his equity and interest in H&C to an undisclosed party in September. Additionally, H&C Marine Engineering has signed a charter agreement with UAE-based offshore vessel operator Atlantic Maritime Group for one of the liftboats, the AOS Intervention I . The vessel will be delivered to Atlantic Maritime Group in April 2018 and charter period is one year plus an option to extend it by another two years.